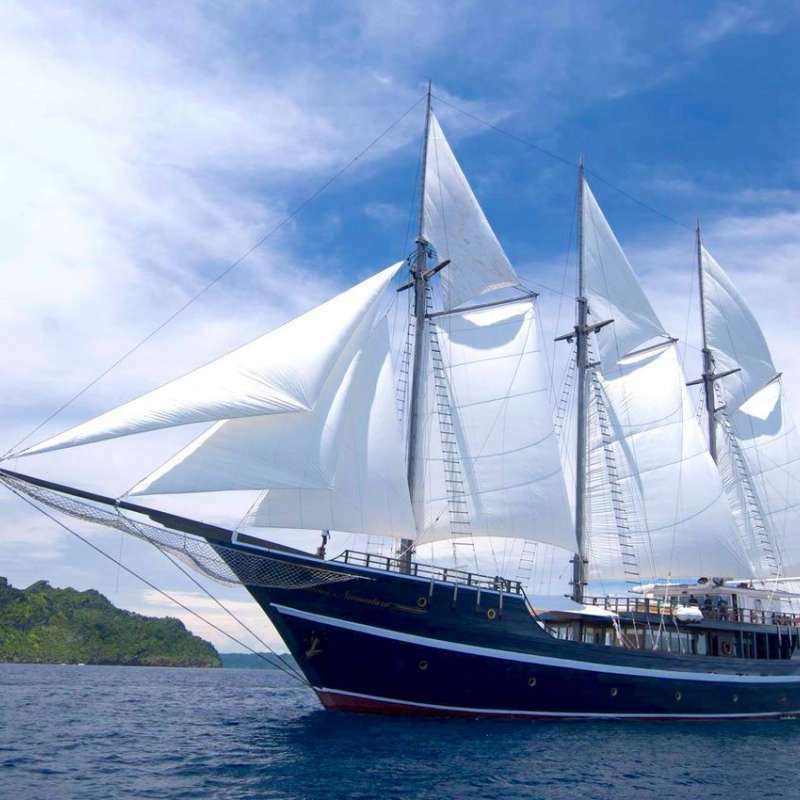 We move the ship with the seasons making the whole year the best time to travel. Children are welcome on board. For safety reasons however the minimum age is six. We provide 32 x 12 l/80cft and 5 x 15 l /100cft aluminium tanks. All tanks come with DIN valves but can be converted with an adapter into a Yoke valve. The beauty of the sea is also enjoyed by snorkelers and reachable in one fin kick. Shallow colourful coral reefs and curious fish are the highlights of this activity. A dedicated guide will help making these moments unforgettable and safe for everyone. 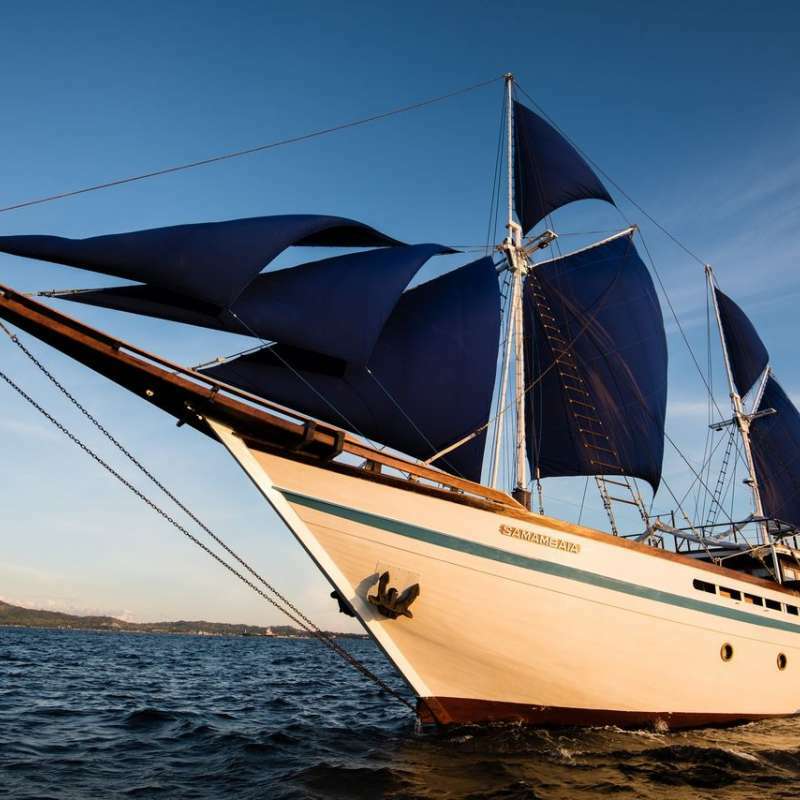 Cruising means celebrating freedom, wind blowing in the sails and in your hair, dolphins playing at the bow, sun setting on the horizon and reaching far away destinations that can only be reached by boat. 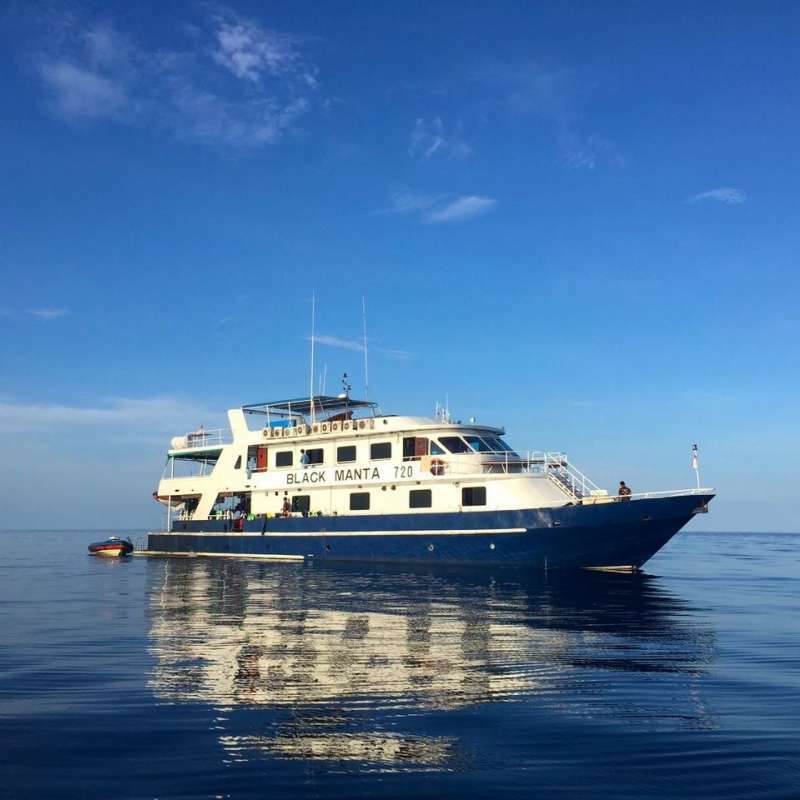 Cruising is also the best way to dive on the best dive sites that Indonesia has to offer, in safe conditions, with the best comfort possible, and a lot of memories to be built up.